Showing this Weekend: Dec 26 - Dec 28. "The Good Dinosaur" WE ARE CLOSED FRIDAY FOR CHRISTMAS. WE HAVE A SPECIAL MONDAY SHOWTIME THIS WEEKEND ONLY. Saturday movie starts at 7:30p.m. Sunday and Monday movie starts at 5:30p.m. This movie is rated PG and stars Jeffrey Wright, Frances McDormand, and Maleah Nipay-Padilla. 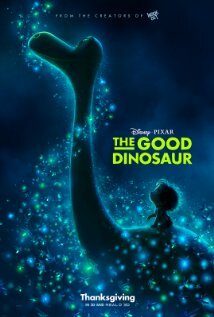 In a world where dinosaurs and humans live side-by-side, an Apatosaurus named Arlo makes an unlikely friend.